Rabbi Joel Wardinger is the Executive Director of JUMP (Jewish Urban Meeting Place) in Toronto. Wardinger has his sights on bringing a modern, urban approach to Yiddishkeit to the modern, urban young professional set in Toronto. “My aim is to increase Jewish literacy, build bridges between the different Jewish groups in our city, and to strengthen Jewish identity in people above university age.” His vehicle- 94 Avenue, a 3100 square foot space which opened in January 2014, located in the heart of Toronto. Rabbi Wardinger said he’s confident about JUMP’s future, because although, like other organizations, he works hard to get people out to events, he said JUMP is a known commodity in the community and people are interesting in its programming. In 2002 Rabbi Weinrib joined the Chicago Community Kollel and in 2005 he became the Rav of the Agudas Yisroel of West Rogers Park. Rabbi Avi Weinrib moved with his family to Chicago in April 2002, becoming a member of the Chicago Community Kollel. During his time in the Kollel he was involved in numerous teaching opportunities both in Chicago and in the surrounding suburbs. He developed Lunch-‘n-Learn groups both for the learned and for the unaffiliated, in a number of different locations. He also began home study groups, where a group of unaffiliated couples would get together to explore in depth an upcoming Yom Tov or a particular subject that peaked their interest. In 2005 Rabbi Weinrib was approached by a group of baalei batim to be the founding Rov of a new shul, the Agudah of West Rogers Park. It was to be a shul geared towards the family as a whole, where people could continue to grow in their Avodas Hashem. BH the shul grew rapidly. Starting off five years ago with 20 families it now has over 60 families. A plot of land was recently purchased and a beautiful building will be built to accommodate the growing needs of shul. Rabbi Weinrib also became the Executive Director of the Midwest Council for Synagogue Rabbonim. He organized the first Midwest Conference for the council which took place in Detroit, MI on July 4-5, 2010. It was attended by over 30 Rabbonim from eight cities across the Midwest. The Conference’s goal was to be a resource, both to Rabbonim and to communities. The goal was to find ways to be mechazek each other. Rabbi Weinrib also taught eighth grade in Yeshiva Tiferes Tzvi and Halacha in the Bais Yaakov of Chicago. Today he is the much esteemed and beloved rabbi of Congregation Zichron Eliezer in Cincinnati. The community continues to flourish and Rabbi Weinrib oversees this growth by ensuring that there is an emphasis on expanding and elaborating the programming, by bringing in inspirational guest speakers, through shiurim and by providing stimulating children’s programming. Jewish Routes was started 3 years ago by Yonason Quinn and Eli Bloom.Their objective is to address the long term stability of the Ba’al Teshuvah. They have a beginners program including a Birthright trip, Maimonides learning and one-on-one meetings. 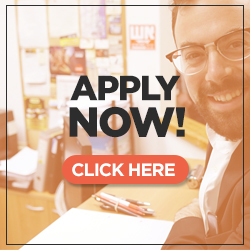 In order to integrate the student into a realistic Jewish lifestyle, Jewish Routes has developed a system of housing with like-minded peers for both a seminary and Yeshiva program. Students can live within the Jewish community while slowly learning how to mesh their professional and spiritual lives. They have varying levels of observance and knowledge in the student base living in the houses. The beginner students are inspired by their environment and new social group to progress within their own personal journey in Yiddishkeit. Rabbis Quinn and Bloom have spearheaded the establishment of a shul in order to have the students feel comfortable in a long-term growth-oriented place. Whether they have been students of Jewish Routes for 1 month or 7 years they still require consistent follow-up and the knowledge that someone will be there for them under all circumstances. Rabbis Quinn and Bloom say that their goal is for their students to be sending their kids to the same school that they send their own!